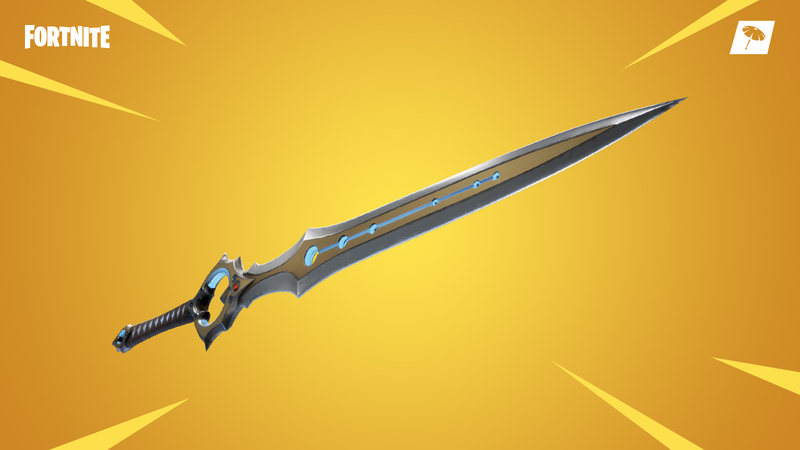 Less than a week after it first arrived, Fortnite's controversial new weapon, the Infinity Blade, has been removed. Developer Epic Games announced that it is vaulting the sword across all modes due to its notable impact on the game's balance and the lack of any reliable counters to it. "We messed up and rolled out the Infinity Blade overpowered / without good counters, especially in the end game," Epic wrote. "The Infinity Blade has been Vaulted and we are re-evaluating our approach to Mythic items. Thanks for calling us out on this!" The Infinity Blade arrived in Fortnite earlier this week as part of the game's 7.01 update. Unlike other weapons you can pick up in the game, only one sword spawns per match, and it appears in the same location each time: in a pedestal atop Polar Peak, which makes the start of every round a mad dash to get the sword. Much like the Infinity Gauntlet from the short-lived Thanos LTM, the Infinity Blade grants its wielder incredible powers, including increased max health and shields, increased movement speed, and more. While it's still possible to kill the player wielding the sword, it's clear that the first person who manages to pick it up is at a big advantage. Epic's decision to remove it completely from the game comes shortly after the developer had said that it would reduce the Infinity Blade's effectiveness. It's unclear if or when Epic plans to reintroduce the Infinity Blade to Fortnite, but the developer mentioned that it is "re-evaluating [its] approach to Mythic items," suggesting that other special types of weapons may be in the works for the game.